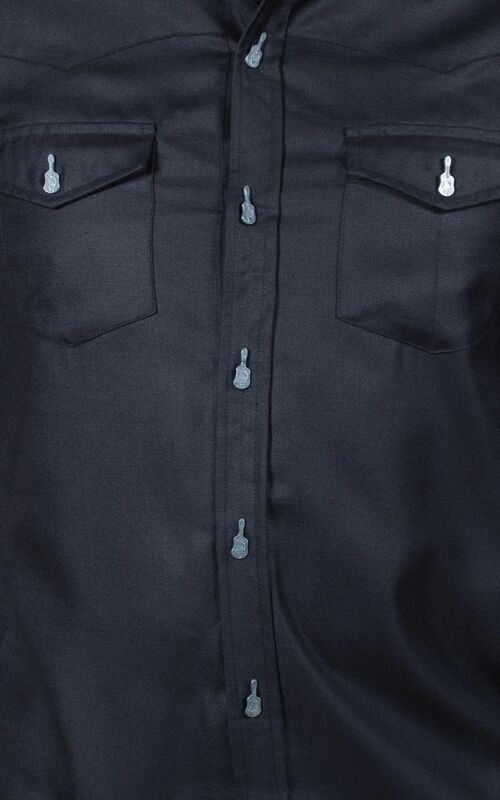 Johnny-Cash-worthy men's shirt with cool guitar buttons. This shirt is casually cut and made of finest black material. 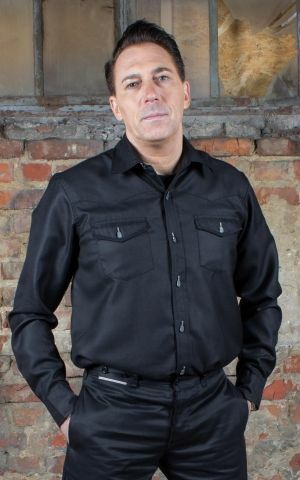 It is equipped with patch pockets with flaps and curved yokes in the front and back. 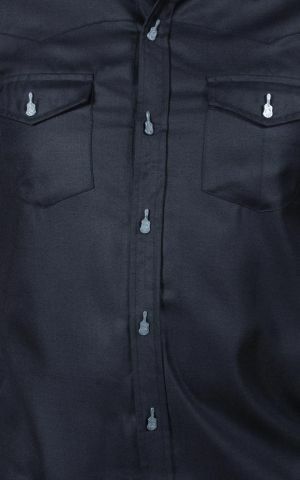 The metal buttons with guitar embossing turn this shirt into an awesome piece of clothing. A wide cut offers a great wearing comfort but the shirt is also tight enough to be worn under fashionable vintage vests. 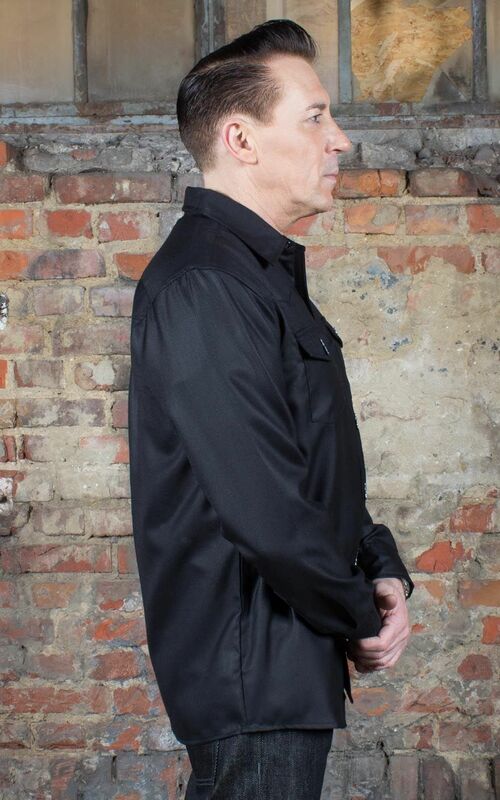 If you're wearing it inside or over your trousers is absolutely up to you, because it's long enough for both looks. Whether you're wearing it at a gentlemen's evening or at work, you can easily roll up the sleeves by using the button-on cuffs. Dress up like the honorable gentlemen from the good old days and get this must-have-shirt. 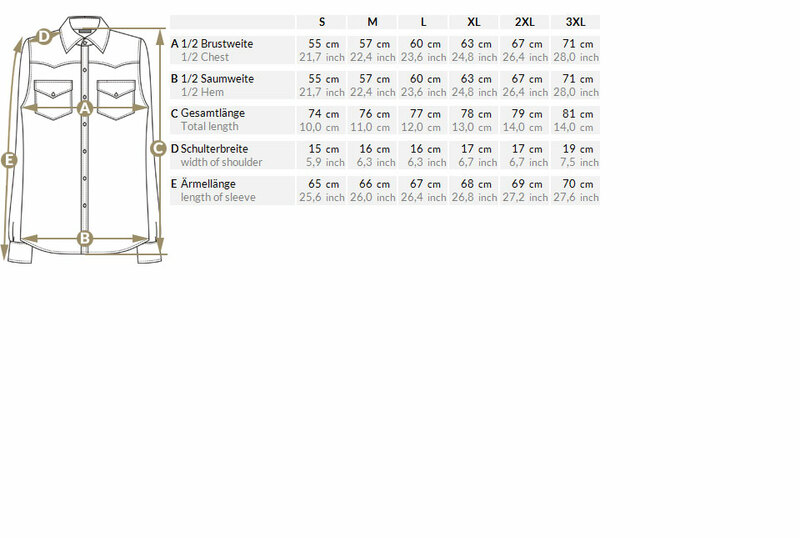 Info: Please check the size chart for the perfect fit! Our model is 172 cm tall and wears this shirt in size M.
Rumble59 offers a wide selection of 50s outfits for Rockabillies! 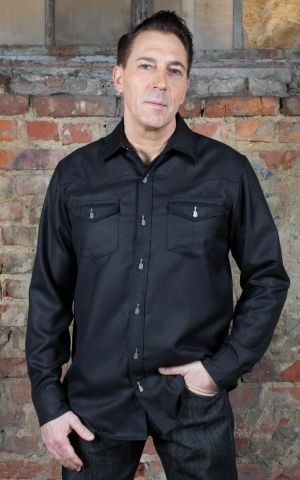 The men's shirt from the "Gentleman's First Choice Collection" impresses with a cool style.